Herb & Garlic was one of the first spices we tried and it started our journey into spices. It is affectionately know locally as Riss’s magic spice, because it enhances any dish you put it in. Great with all meats, and my favourite scrambled eggs. 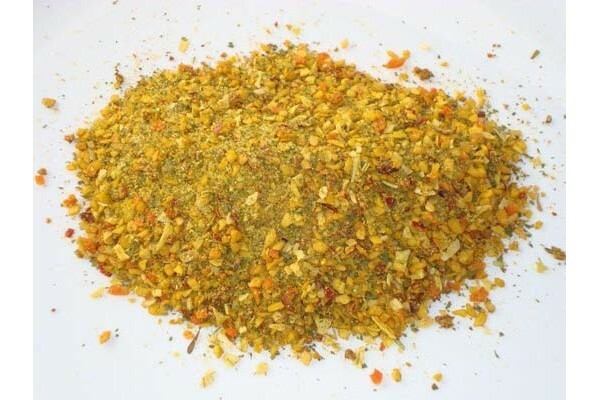 Can be used as a sprinkle, rub or marinade. Add a generous sprinkle to meats, seafoods and vegetables prior to grilling, sauteing, roasting or frying. Or add a little Olive Oil to create a marinade before cooking. Dehydrated Vegetables, Sugar, Salt, Herbs, Spices, Rice Bran Oil, Spice Extract (colour 160c).